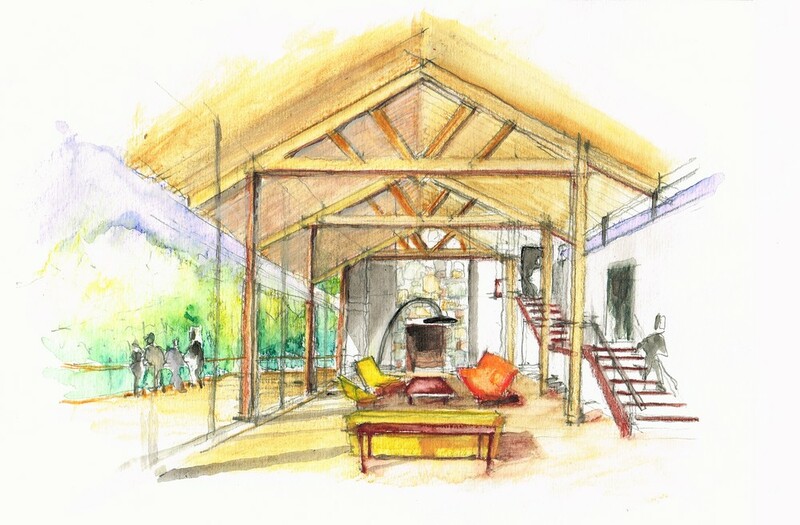 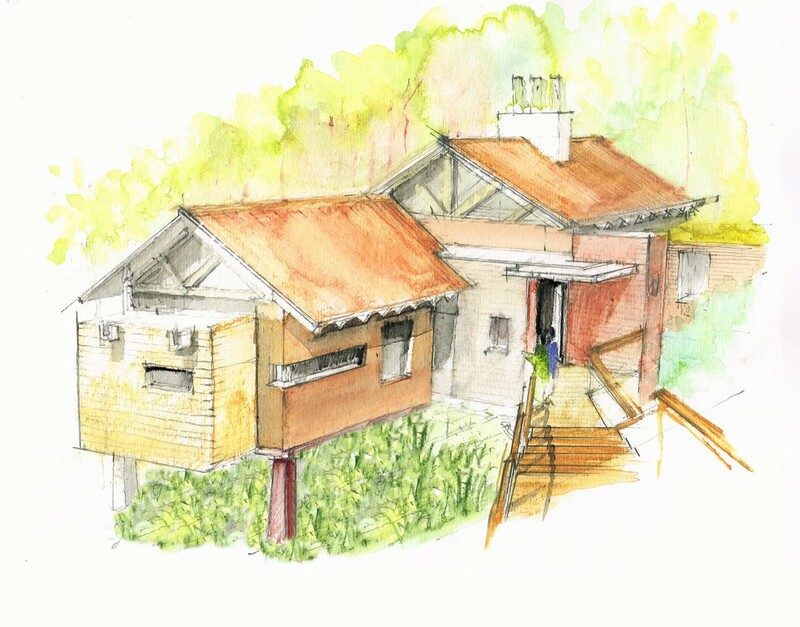 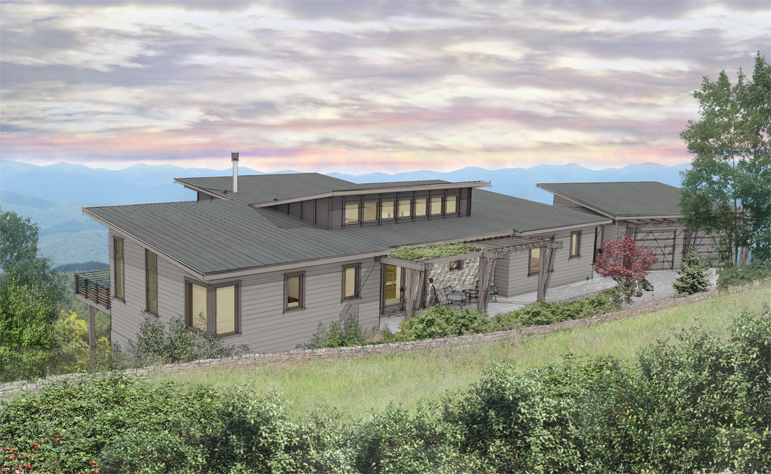 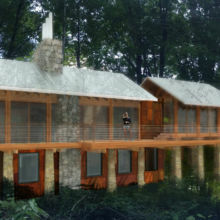 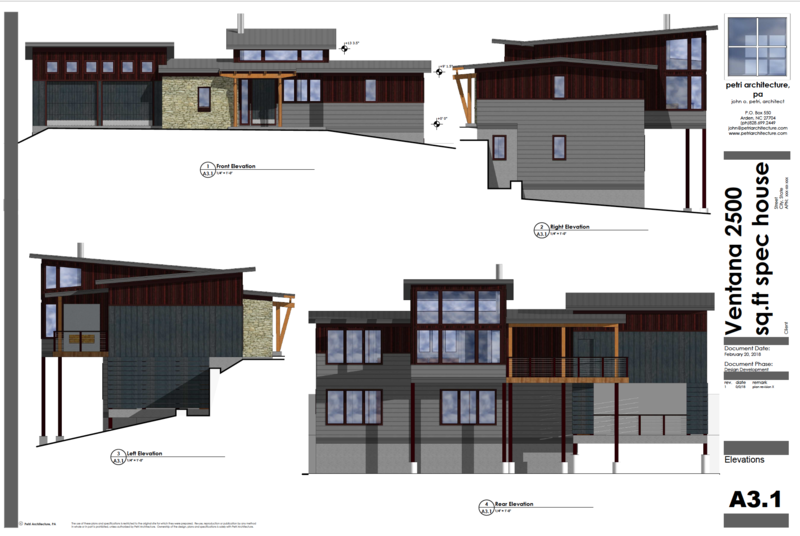 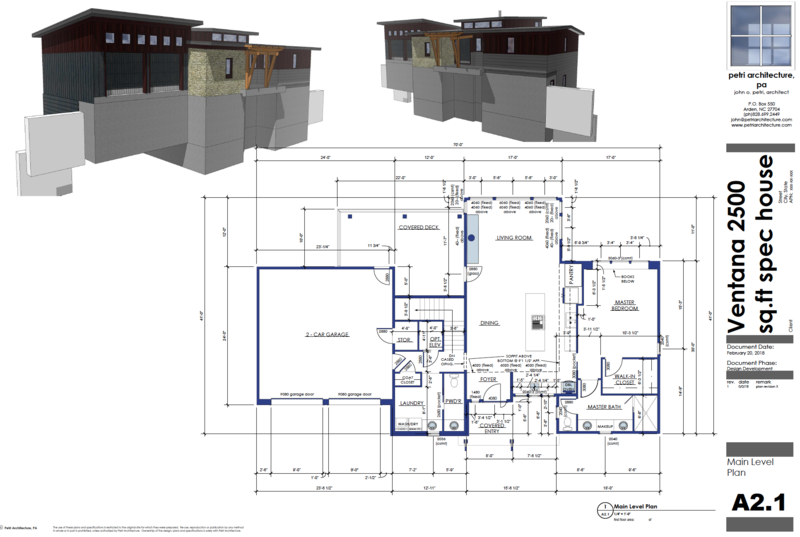 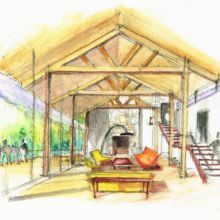 About the project: SOW Design Studio was commissioned to conceptualize a model prototype home that can easily expand or adapt to different site conditions. 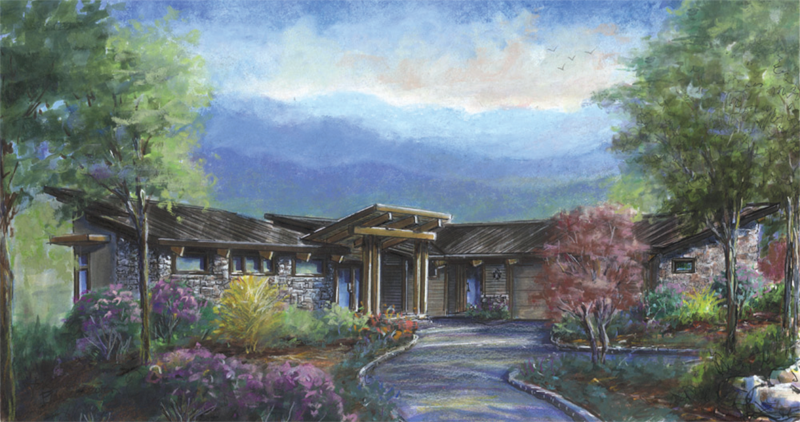 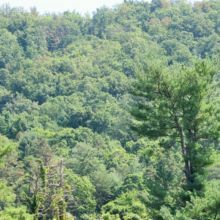 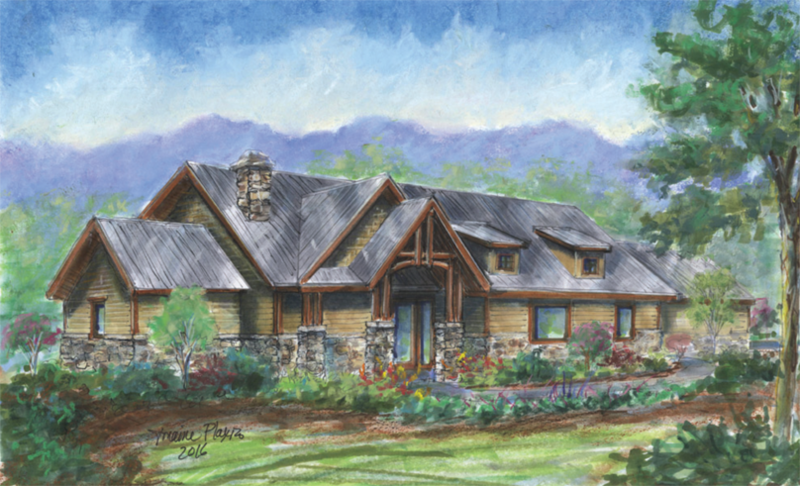 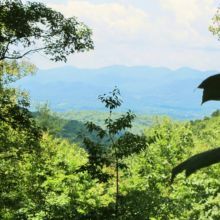 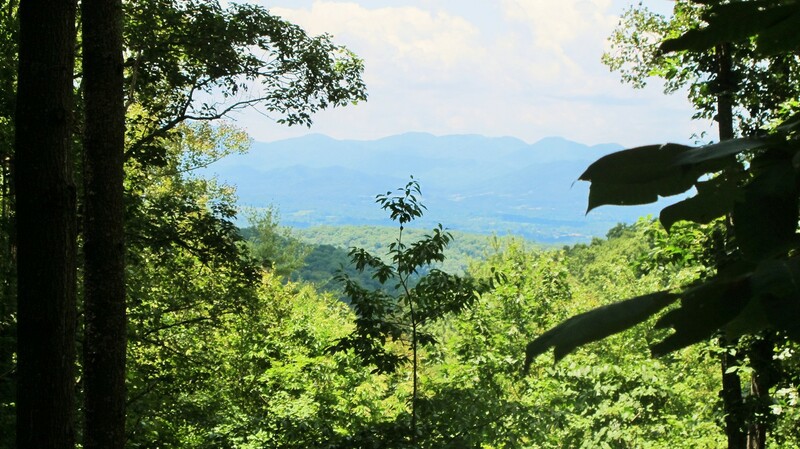 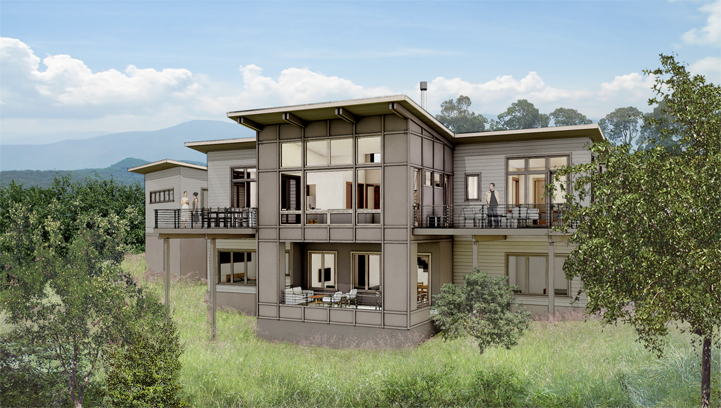 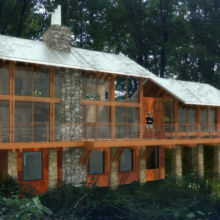 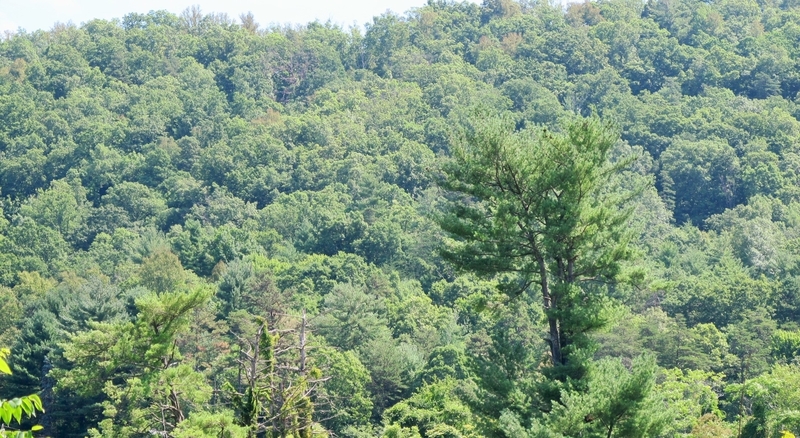 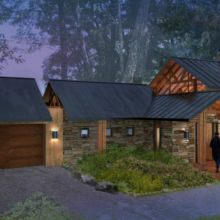 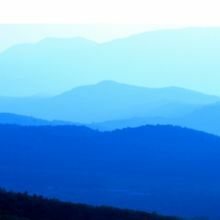 Ventana Communities is a 75 lot development located 6 miles northwest of Asheville. 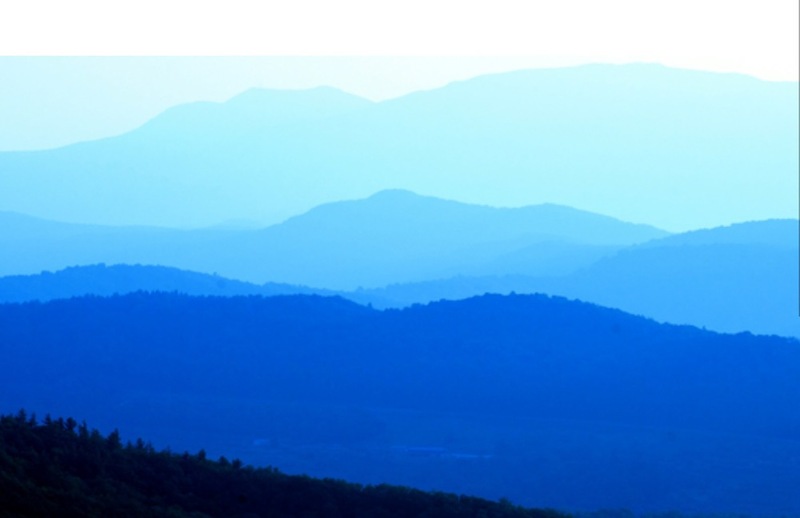 Many of the sites overlook the city skyline and others, the Blue Ridge Mountains to the west. 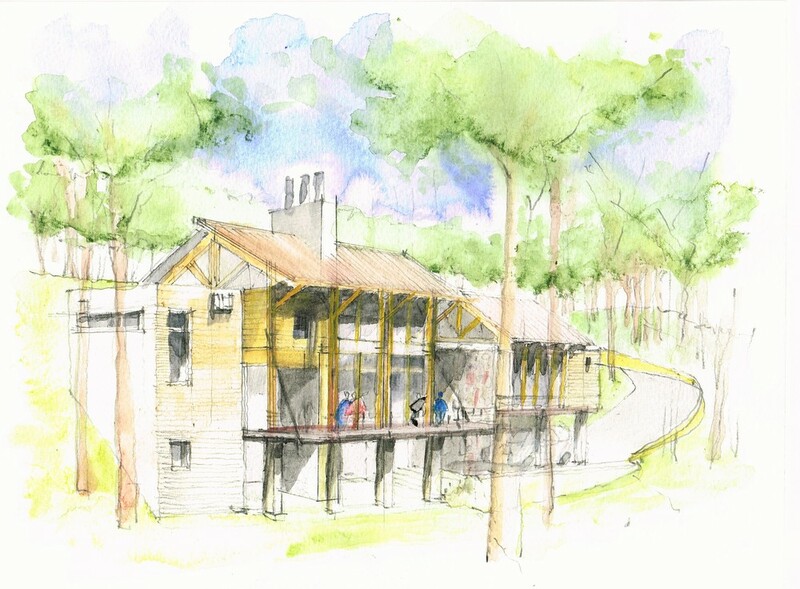 Lot 5, located on the first series of sites after the main entrance steeply slopes downs towards the west. 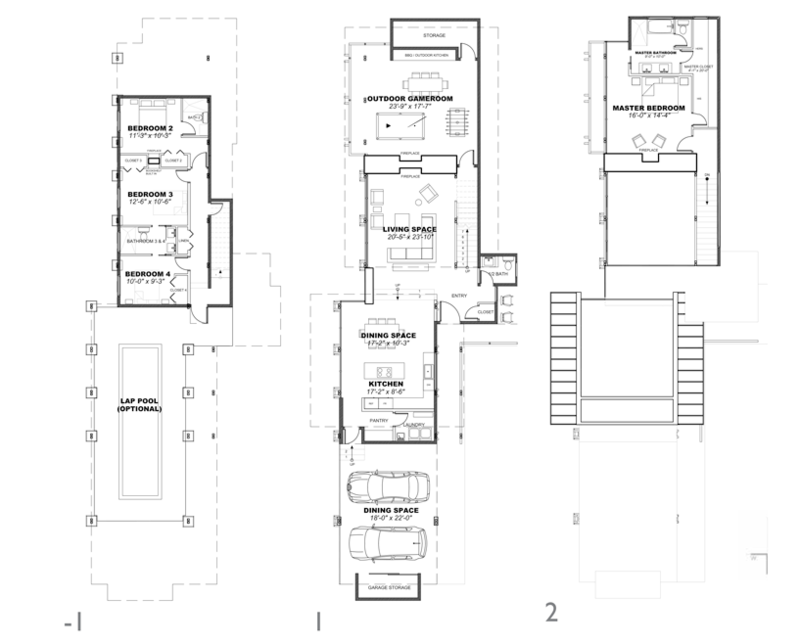 The linear design of the house is meant to have little impact on the site. 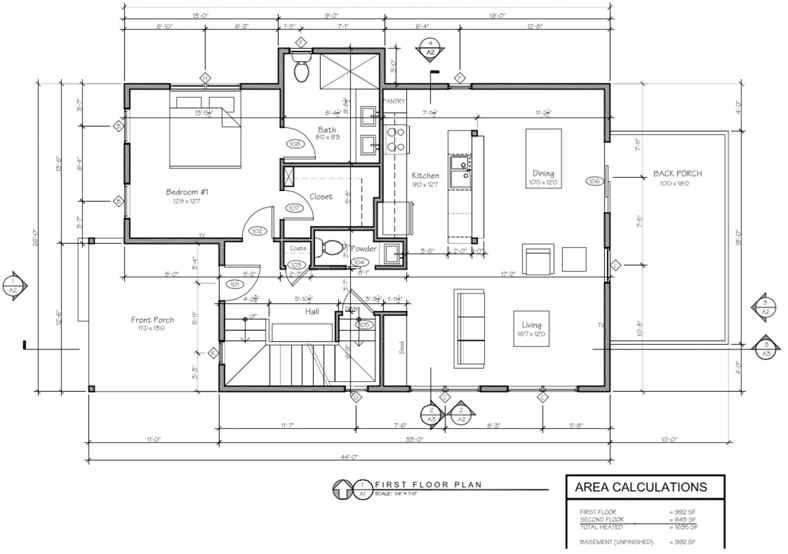 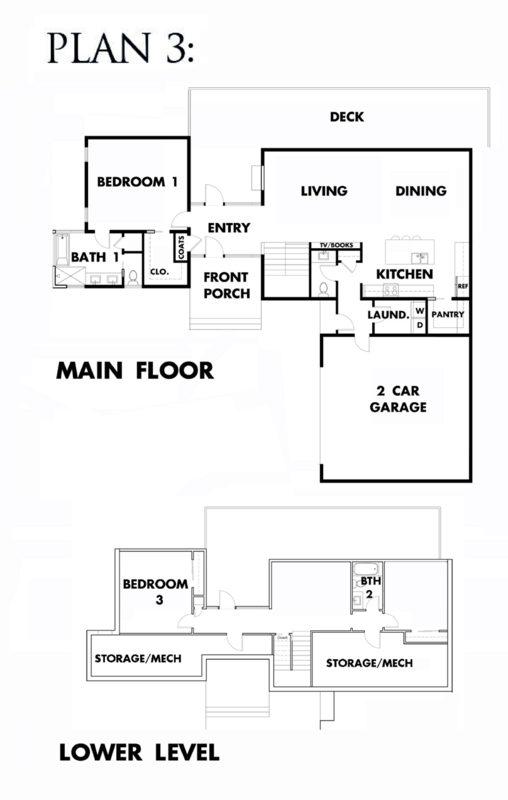 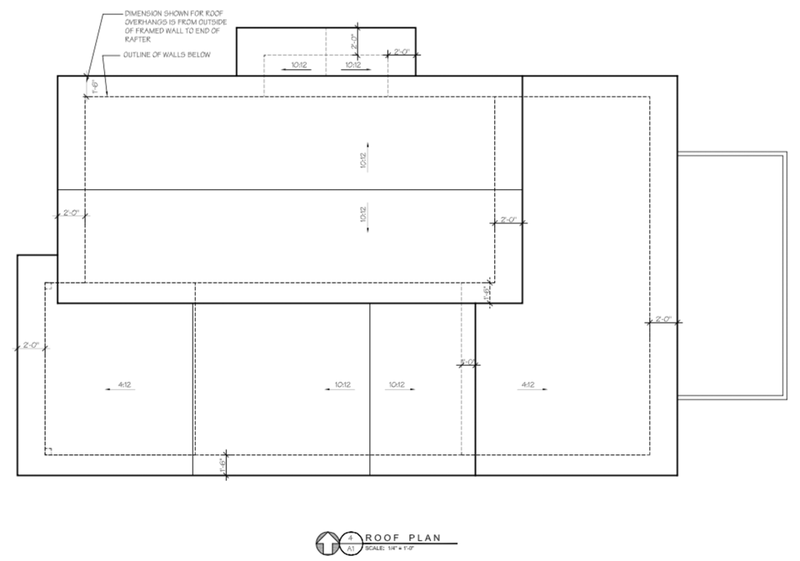 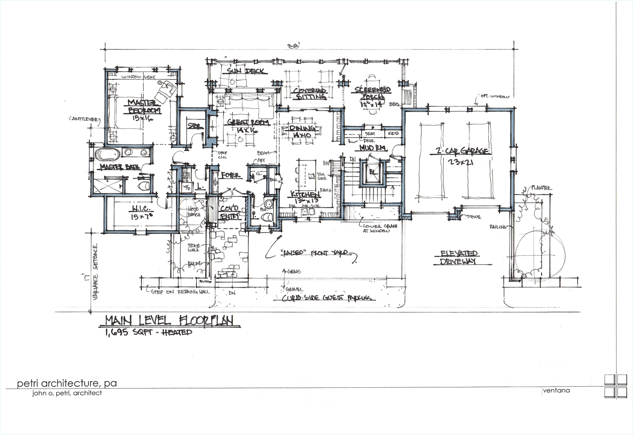 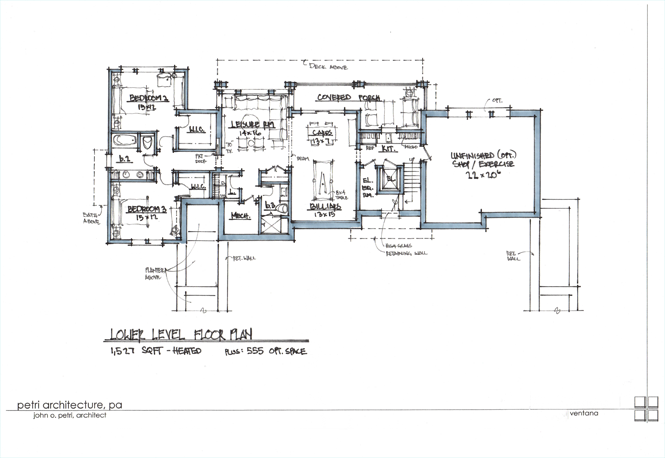 By placing the house parallel to the contours, we reduced the cut and fill requirements to lay the floor plan. 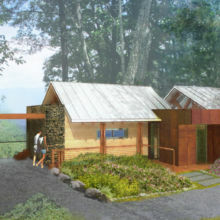 The floor plan is sectioned in a way to keep the social zones to one half and private areas to the other, all opening up to the mountain view. 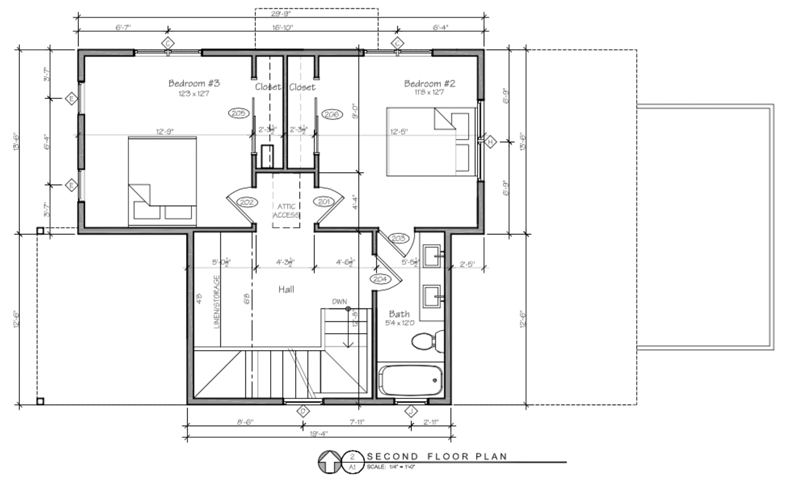 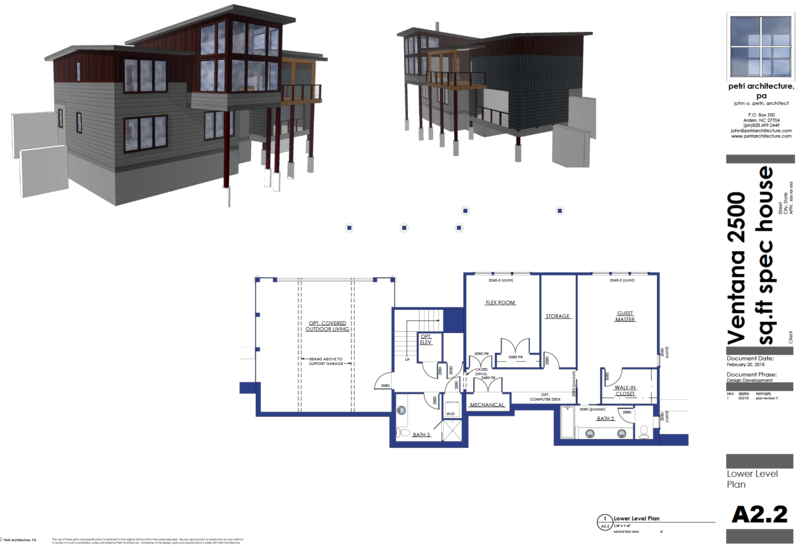 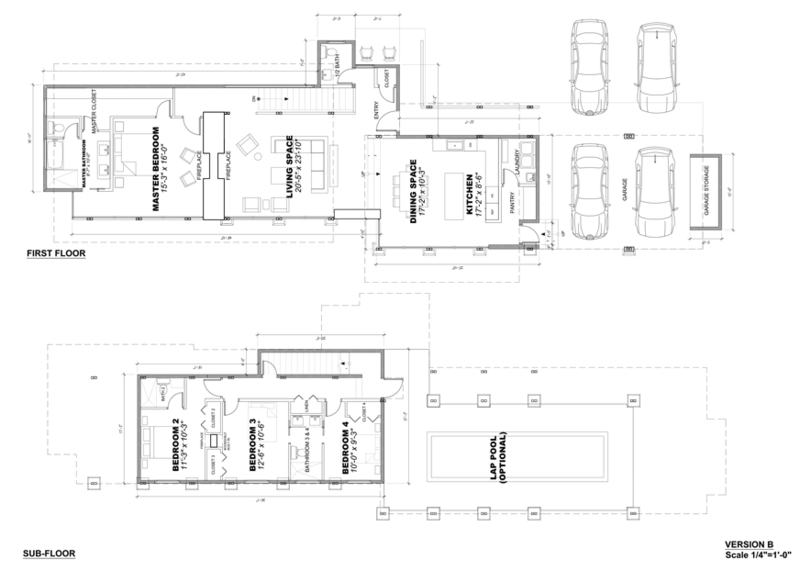 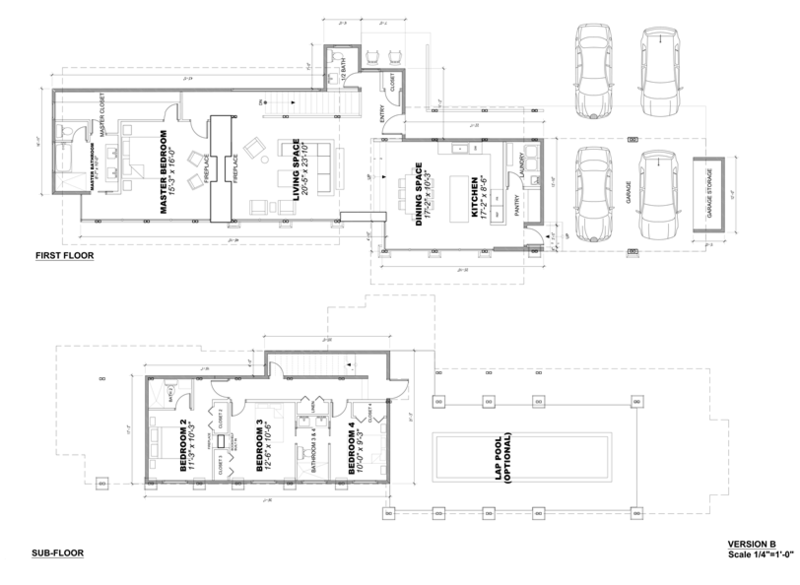 The floor plan can ‘bend’ adapting to the configuration of the slopes. 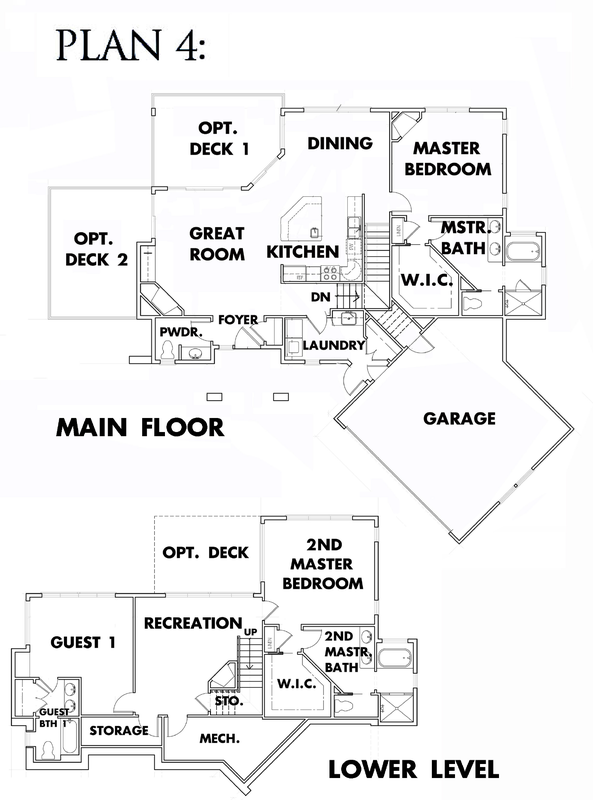 On the private zone, the house can grow in number of bedrooms vertically, keeping the master bedroom on the main floor to serve the elder residents. 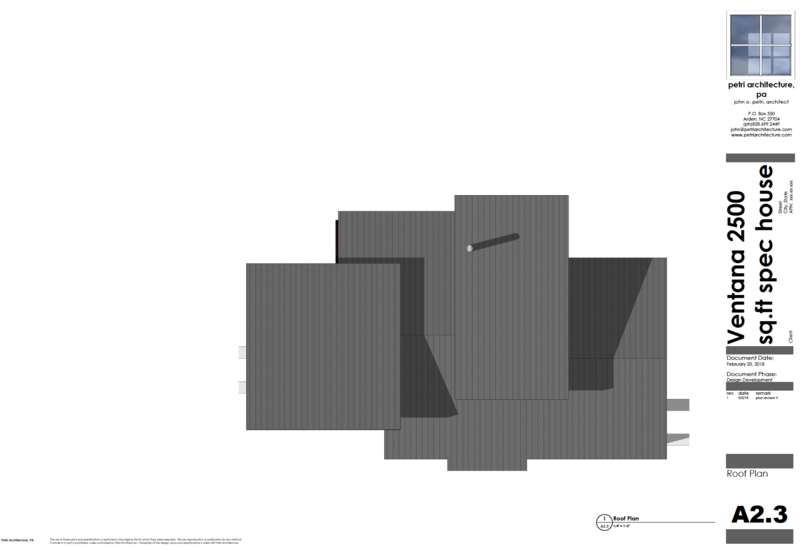 The architecture can be articulated to maintain a cohesive palette development. 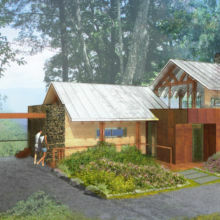 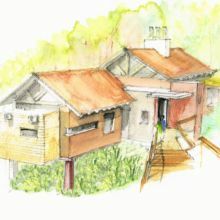 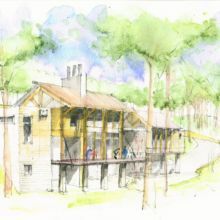 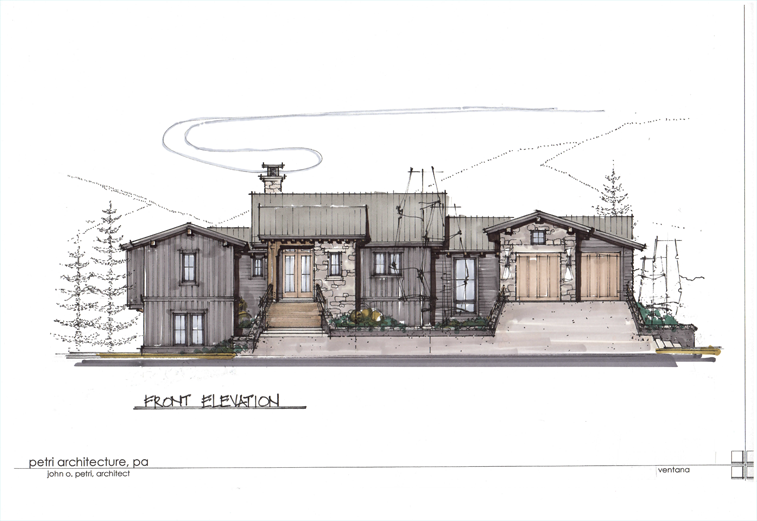 Some styles such as Modern Barn, Country Hill or Contemporary Mountain have been chosen for this first series of sites.